Some people like to do Sudoku. Others like to do crossword puzzles. I like to do taxes. For each tax situation there is one correct solution - the solution that is both legal and most advantageous to the taxpayer. I like to find that answer every time I sit down to prepare a tax return. I was born and raised in Ohio, making me a die hard Buckeye and a long-suffering Browns fan. 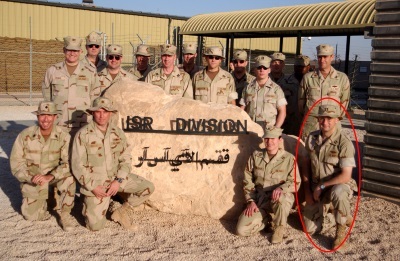 I enlisted in the US Navy in 1987, was commissioned in 1995, and retired from active duty in 2010. Somewhere in there I managed to find and marry the perfect girl (Tade) and have 3 children (who all turned out quite good looking despite my contribution to the gene pool). During my Navy career I served at sea on submarines, an aircraft carrier, and a high-speed catamaran. Ashore I served tours stateside, in the middle-east, and east Africa. It was a blast, but it was time to move on. I wanted to become a financial planner. As I was studying to become a financial planner I noticed that most of the instructors were telling us to avoid giving tax advice. That didn't make any sense to me, because taxes touch every aspect of financial planning. At the same time I was becoming dissatisfied with the prices I was personally paying for tax preparation, so I signed up for a tax class. Somewhat unexpectedly, I loved it! I wanted to know even more about taxes. I went to work for a nationally known tax preparation firm and continued to learn and study taxes. While I enjoyed the experience and the people I was working with, one thing I didn't like was the inability to provide great value to ALL of the clients. Too many corporate rules. I am aware some folks just want tax preparation, and not full-on financial planning. Therefore I decided to start PIM Tax Services as an independent business from the financial planning firm. It allows me the greatest flexibility to meet the needs of each individual client. If you want to know more about Paul D. Allen, check out my LinkedIn profile! The mission of PIM Tax Services is simple - the next time you're at a social event and someone is complaining about their tax preparation experience I want you to say, "I have a tax service I am very happy with!" The best tax preparation value in Virginia Beach. I focus on income tax preparation for individuals, with a special emphasis on military personnel, individuals with home businesses, and rental properties (landlords). I post my prices so there are never any surprise fees. I don't just prepare your taxes for this year, I help you plan how to make them better next year. Try PIM Tax Services once, and it will be your tax preparation firm for life. PIM is a nautical acronym for Plan of Intended Movement. When the Captain of a ship tells the Navigator, "We need to be in Galveston next Tuesday," the Navigator develops the Plan of Intended Movement; the PIM. It is the appropriate course and speed to achieve the Captain's goal - which is to move the ship to the appointed place and arrive at the designated time. PIM is also a fine analogy for tax and financial planning (which are inseparable). The Captain (You) tells the Navigator (Me) where you want to go and when you want to get there with respect to your financial goals. I develop the tax and financial plans that get you where you want to be at the designated time. Tax efficiency is an integral part of every financial plan. While nearly everyone understands the government needs revenue to provide services for the common good, no one wants to pay more in taxes than they are legally required to pay. Yet, it is difficult for most individuals to figure their tax bill correctly. The tax laws are highly complex. The seemingly endless forms, schedules, and worksheets are time-consuming at best; overwhelming at worst. Most people would prefer to have an expert prepare their taxes for them, but as distasteful as paying taxes can be, paying exorbitant fees for professional tax preparation might be even worse. That's where I come in. 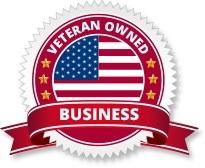 PIM Tax Services (LLC) is a veteran-owned tax planning and preparation firm for individuals and small businesses in Virginia Beach. PIM Tax Services provides expert tax return preparation at affordable prices. PIM Tax Services makes its fees available to the public so that prospective clients can make an informed decision about which tax preparation firm to use. Active duty, reserve, and retired military personnel receive a 20% discount at PIM Tax Services. PIM Tax Services provides reliable tax preparation and planning advice to individuals and small businesses at a reasonable price. I will prepare your taxes, explain everything to your satisfaction, provide advice on how you can minimize your future tax burden, and charge a fee that makes the service a value to you.